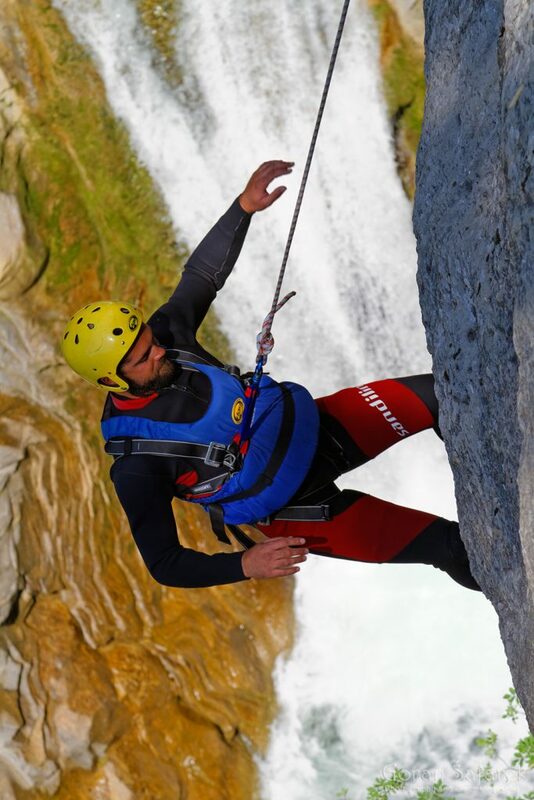 Canyoning on the Cetina River - Explore Croatia Become a Patron! 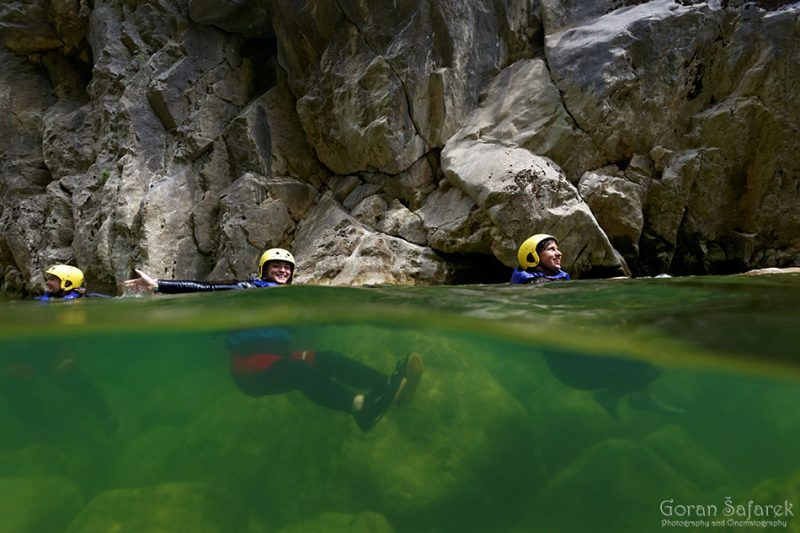 Canyoning on the Cetina River has become very popular in recent years, due to the striking nature and proximity to the Adriatic Coast. Put on your life jacket and helmets and jump into the refreshing waters of the Cetina River! The Cetina River in the dalmatian hinterland of Split has been flowing for thousands of years and thus creating mystical shapes in its bed. This is one of the Croatian rivers that flows from the karst hinterland, first in karst polje, then in deep canyons, eventually discharging into the sea. 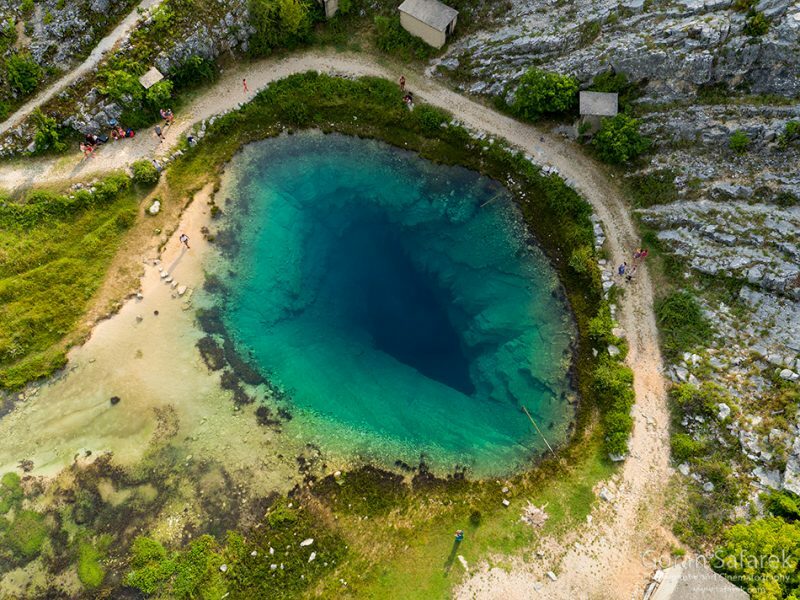 The Cetina River is springs as a turquoise lake spring, from the dark depths of the spongy, rocky underground. Only the brave dare to swim in its cold water. Professional divers have however reached the depths. The river then slowly flows through savannah landcape, barraged in places with large dams and reservirs. Numerous villages and several towns have grown on its fertile plains, in a stark contrast with barren karst landscape of the surrounding hills. 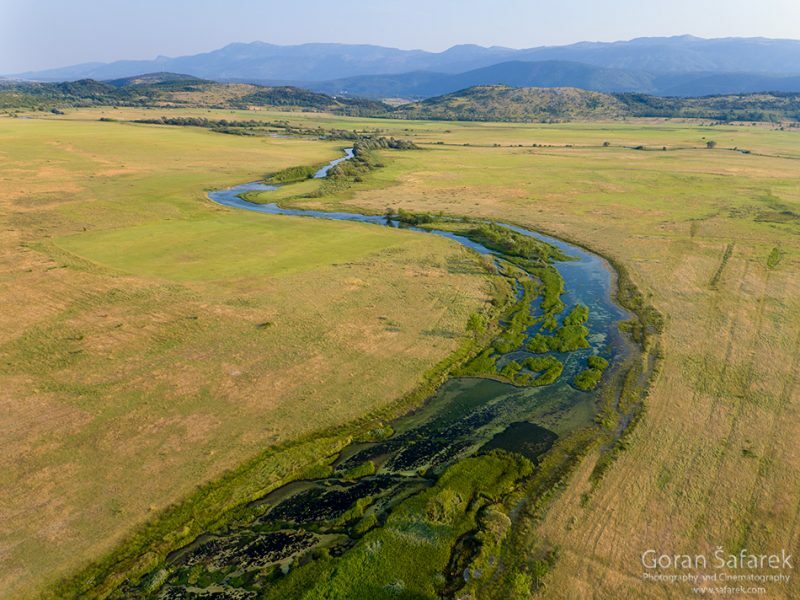 Near the village Blato na Cetini, the river finally reach the canyon, culminating on a gorge near Zadvarje, where the river makes a sharp U turn, going to the Omiš and the Adriatic Sea in a pictoresque valley with overhanging mountains. Rafting on the Cetina River is very popular, but in recent years, the canyoning has emerged as very popular tour. 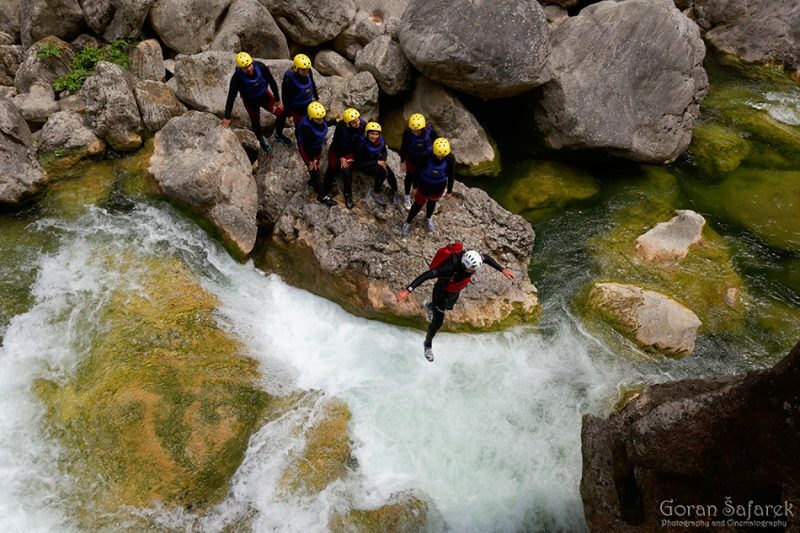 Canyoning on the Cetina River is best in its wildest part, near Zadvarje. The sun reaches the bottom of the deep canyon only for a few hours in the summer. Huge boulders and rocks where the eaterr is gushing through waterfalls and rapids render even rafting impossible. The canyoning is the only way here. The crystal clear water and a river suitable for swimming offers a true experience of untouched nature with its cliffs up to 180 meters high, waterfalls, lakes, subterranean tunnels and a 50 meters high waterfall Great Gubavica. The guide will give you a life-jacket, a helmet, neoprene suit and jacket and the small expedition is ready to set off. The sound of the river becomes louder as you descend into the canyon. Ten minutes later you will find yourself in the middle of the Cetina canyon. Walking through the river and the rapids, going through the subterranean tunnels, swimming in natural pools, going around waterfalls and lakes – all this is canyoning. 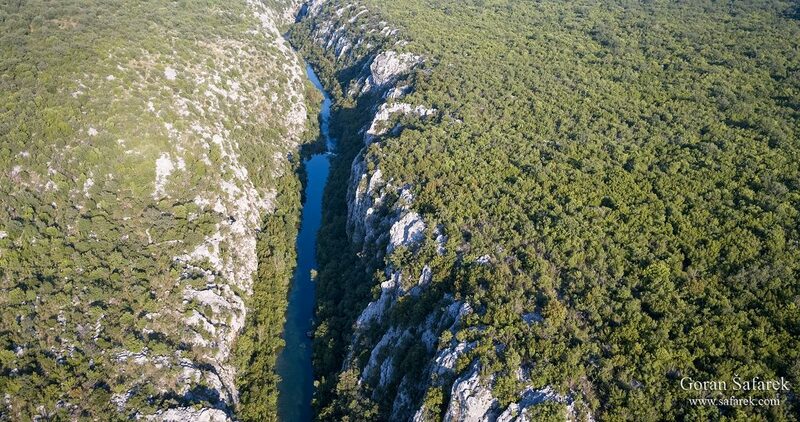 There is a more exciting and stronger experience of the Cetina River canyon than just canyoning. Together with walking and swimming through the canyon it consists of two rope lowerings down a cliff. After an hour of walking through rapids and swimming in clear lakes, you will come to the 50 meters high Gubavica waterfall. Near the waterfall, a prepared place enables you lowering with alpine ropes. One of the guides lowers you while the other guide waits for you under the waterfall. The height from which you are being lowered is 53 meters. The noise of the water tumbling down and the view of the waterfall from above make a unique and unforgettable experience. Except for this lowering, the trip includes a rope lowering near the Mala Gubavica waterfall. The height from which you are being lowered is 18 meters. There are several agencies which can bring you down the canyon. They will collect you from Omiš or Split or you can come directly to Zadvarje village where tour starts. You will get all necessary eqiupment. You can rent the specialised shoes (recommended), or take your own. 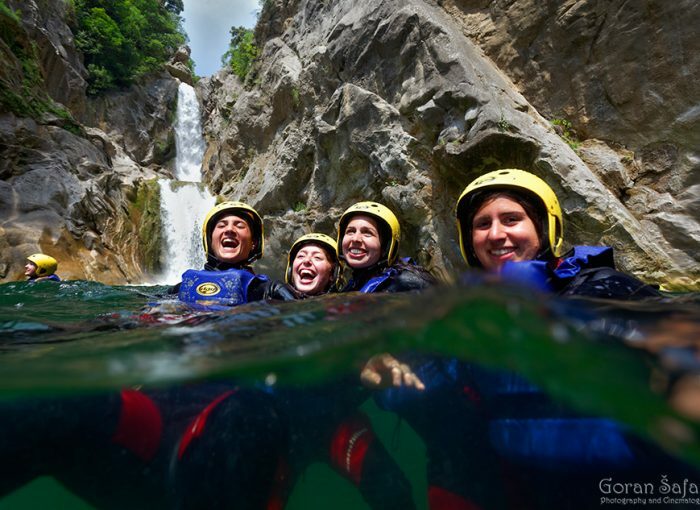 The price is around 35€ per person, and canyoning takes around 3 hours. From April to October. For best experience, go with Adventure Dalmatia.